Your early pedals just took the guitar signal and strangled it. Some of those fuzz sounds, well, if you heard them today, you’d seriously consider becoming a drummer. Some pedals though, did make history and good sounds, and with the BOSS FZ-5, you can return to the glorious days of old. 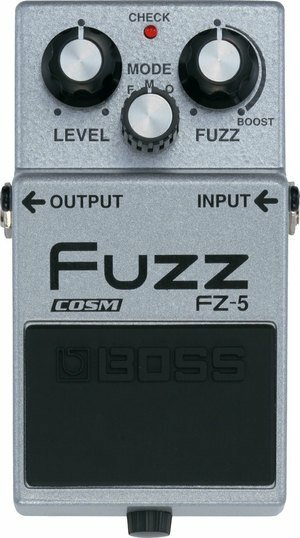 Instead of stone knives and bearskins, BOSS uses COSM (Composite Object Sound Modeling) to recreate the sounds of the Fuzz Face, Octavia, and the Maestro FZ-1A. So if you’re in a garage band, or just in the garage, and want to get that hep sound of the late 60’s/ early 70’s, you’ve just found your time machine.